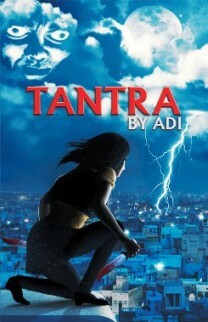 When Ananya’s life fell apart and crumpled at a young age she was helpless with the sole intention of supporting her family… she takes up editing an equally crumbling lifestyle magazine AFTER-TEA not knowing what lay ahead thus Ananya’s journey into the mad mad world of the media begins. Though her journey as a professional is replete with adventure, thrill and risks she starts enjoying it …as fate could not steal away her innate talent and an eye for perfection… But as they say in the beautiful Bollywood city of Mumbai anything is possible! 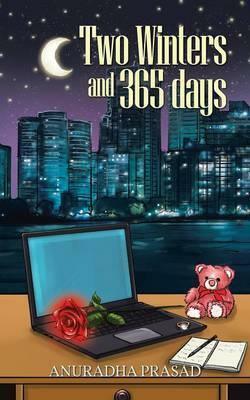 Two Winters and 365 Days, is a very different kind of a book. Firstly, I’d like to applaud Anuradha for an awesome debut in the field of writing. Second, I’d love to appreciate the way she has portrayed her characters. 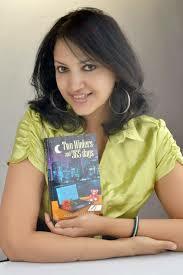 The women in the book, be it the lead character Ananya or her friend in need Amanda. The characters are well in control of their emotions and strong where required. I also love the way Ananya rebuilds her life through the book. In one line: Go get it!! Worth a read!! Very refreshing indeed!! Anuradha Prasad has a doctorate in English Literature from Mumbai University. She is an artist, a feature writer, and a journalist. She writes on invitation regularly. She loves blogging, counseling, observing nature, traveling, music, movies, Bollywood, and spending time with her family and friends. She lives in Mumbai with her Family. Multiple intelligence agencies are tracking Mansur Haider, a god-fearing aspiring cricketer from Kashmir. His girlfriend, Aahana Yajurvedi, is trying to locate her missing mountaineering team, which vanished after a mysterious earthquake struck Shaksgam Valley. Investigating Mansur and the Shaksgam Valley incident is Swedish intelligence officer, Adolf Silfverskiold, whose only relationship to God consists of escorting his girlfriend to Church. This is the first Espionage thriller I read. I found the characters and the mode of writing really good. However, the one thing that I expected the book to be and didn’t find happening was the pace! or may be it was just me! It got heavy halfway through the read and by the time i finished it, I felt it was loaded with information which was a bit avoidable. The editors could have had a bit better job. 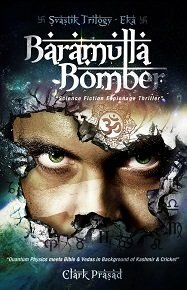 In short, Baramulla Bomber is a good read. It gives you the adrenal rush at few places.. There are moments you’d wait with a bated breath onto what happens next……..
A good read for anyone who likes spy novels and thriller stories. If love is all about freedom and honest expression then how can one associate it with loyalty? Life turns upside down when she falls for the CEO, who happens to be her mother’s boyfriend too. Destiny further complicates things by blessing her with a big time modelling assignment and she becomes famous and popular overnight. Well, to start with, I was a little skeptical about this book at the start. I received the book by blogadda just before I was setting out on a vacation to Rajasthan. I carried the book along and read it during the travel. The one thing that I really appreciate in the book is the characterization of its female leads. Weather it is the lead protagonist, Moon or her mother Payal Malik, they are showcased as the current age, strong females with a head of their own. While Moon is on a constant lookout for true love and its meaning during the course of the book, Payal has been a single mother who has built a strong career and a place in society. The other aspect that the story touched is how today’s world is constantly connected via the social media and how it impacts them. I believe we all saw ourselves in Moon whenever she felt the happiness and the excitement with the comments and likes on her posts and pictures. But, overall, the book is a fabulous read ! Land of The Seven Rivers: A brief history of India’s Geography by Sanjeev Sanyal.. As the name suggests, provides an illustrative account of the evolution of our motherland, India. In one word, this book is INTERESTING !! As school kids, most of us despise history and geography owing to the various events, dates and tedious data that these subjects encapsulate. I, on the other hand, always had a special inclination towards these subjects. While history always presented interesting set of stories, geography catered to my growing interest in travel. Even till date, travel to different places is always on the top list of my hobbies. I love to study different places and their cultures and learn about their history. I loved every bit of it. Each chapter comes with an element of surprise. It is an awesome compilation of India’s history. It is a must read for anyone who wants to know the land called India….something I’d also want my kids to read one day. The book will be treasured forever! 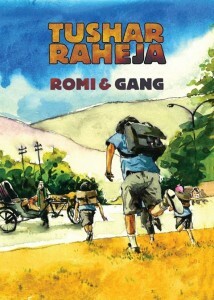 Romi & Gang is a ‘very different book’! First, it is pocket size and not the regular size.. It definitely ought to grab your attention that way. Second, the cover itself ensures that it you realize it is of a different genre and not the regular ones! Tushar, is an acclaimed author. His first book, Anything for you ma’am being a bestseller. Romi & Gang is a story of four school boys, Romi, Sukhi, Golu and Sunny. The story revolves around their school days adventures and their shared love for cricket. The four of them struggle to make their place in the school cricket team since they are juniors. The characters have been well portrayed and they build a connect with the audience. The book is a must read for those cricket fanatics who want to relive their childhood days. Mondays are not the most cheerful part of the week usually.. And when you have meetings on Monday mornings, well one can understand the after effects.. However, this Monday morning started with a real insightful session on realization of your identity and purpose in your organization and your team. The essence of these two principles lies in “Finding a balance between what we have to do and what we could do“. Next I need to jot down how I realize my identity and purpose in this organization and in my life… the twin citizenship and the doughnut principle being kept in accordance..
Till then, c ya soon! Well, Vampires have always been the mystery box for me. There is something attractive about vampires that draws me to them. Tantra, in my opinion is quite a fascinating story de-tangling the webs of relations between vampires, humans, satvik forces, tantric forces, spirituality and what more…….. A web, yes, its a web! For once, I am glad an Indian writer provided a strong headed female lead protagonist. The story too unfolds well and keeps you hooked till the end. The portrayal of Delhi and its people is great too. You can actually visualize so many of the scenes. 1. The American English – I have never known a Delhite speaking that way! 2. However strong headed Anu, the lead protagonist in the story is shown, somewhere she gets weak in her knees having a dude around. I find that not so convincing, specially when the real motive of her flying down to the capital city was to look for Brian’s murderer, who she was so close to…. What happened to Chandra? What about Brian’s killer? Why suddenly Anu wants to learn Tantra? What happened to Amit & Karim?……..and so on………..
And, for now, I am eagerly waiting for the sequel to have my questions answered. I wish the next one concludes a bit better.